If you are wondering what pet to take care of, cockatiel might be perfect for you. Cockatiel becomes the second most favorite pet in the USA because this bird is considered as a great companion that will please you without any reasons. Moreover, with their beauty, sweet temper, and charming personality, cockatiels melt anyone’s heart within in a minute. 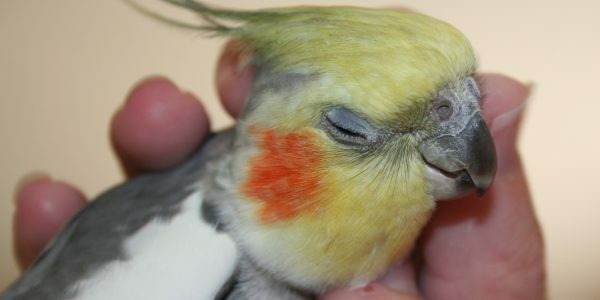 Here, we will discuss facts of cockatiel as the most favorite pet bird. One of the reasons why cockatiels are loved by many people is their intelligence. You may have heard or seen cockatiels dancing, singing, and hamming, which people consider as amusing. Sometimes, you may even encounter cockatiels that can do silly things. You might wonder how a cockatiel can talk and even sing like a human while they are just a bird. Cockatiels are categorized as a smart animal and they are also easy to train; they can follow your instruction and whistle the song you teach them. The most important thing in training this bird is giving them praise and some treat. Offer them their favorite treat right after they complete a certain action that you instruct them to do. Being rewarded repeatedly, the cockatiels may recognize that they are doing the right thing and pleasing you. Therefore, they eventually perform it in anticipation of the treat and even reinforce their performance. If you want them to be able to talk, you just need to talk to them every time in the right context. For example, you say “hello” every time you walk and pass their cage or say “goodbye” or “see you later” when you are going to go out. By hearing these words often, they will get used to it and learn how to use the words correctly. Another fact about cockatiel’s intelligence is that they are better at whistling than talking. They may only be able to talk some short words but can whistle a certain song in the right tune, even better than human. The talented cockatiels can even whistle one entire song. Another special thing about cockatiel is their life span. If you are looking for a pet that will accompany you for a long time, you must love cockatiels since they can live up to twenty years and more. The standard lifespan of a cockatiel is 15 years but some of them can live up to 25 years and the oldest – reported cockatiel is almost 30 years old. However, it also depends on how you take care of them, which includes proper care, nutrition, and the environment where they live. If you feed them with balanced food and clean water, wash your hand before touching them, making sure that they are not infected by virus or bacteria, keeping them healthy, and avoiding them from getting any incidents, they can live well for a long time. This long life span of cockatiels makes them a perfect choice for you who want a long-lived pet to be part of your family. The most interesting thing about cockatiels is that they have eye-catching feathers that will make you fall in love with them at an instant moment. This smallest species of parrot family is easily distinguished by its yellow, white, and gray shady combination in different patterns as well as its bright yellow head and orange cheek patches. The variety of its color combination is determined by their genetic mutations. The original cockatiel is normal grey, the one whose color genes are not mutated. The feather of normal grey cockatiel is primarily grey with white flashes on their wings and bright yellow or white on their face. The round orange on their cheek is usually more vibrant in adult males and more muted in female cockatiels and young ones. Later on, there are more mutations in their genes which affects their color variety. The main mutations are White-faced that has their yellow and orange pigments are deactivated by their blue gene, Lutino that lacks eumelanin pigment, Pied whose plumage patterns vary significantly between one and other individuals, Cinnamons whose eumelanin pigment are partially oxidized, Pearl that does not have any visual effect on their color pigments, and combined mutations that has tremendous number of color variety. In addition, not only do they have varied feather colors but also varied eye and skin color. Therefore, you can find some red-eyed cockatiels as well as dark-eyed cockatiels. The most outstanding facts of cockatiel as the most favorite pet bird is that this smaller species of parrot family is perfect to be the first pet for anyone, even for elementary school-aged children. This social bird loves spending time with human flocks, so you will not find any difficulty to tame them. Moreover, they are easy to take care of, so it is good for young children to learn how to take responsibility for their companion. Besides, they can clearly recognize their caretakers, even their voice, so you will find it easy to give some commands to them. Not only do cockatiels have good feather but also they make good fathers. If you decide to take care of a couple of cockatiels, you will notice the fact that male cockatiels are very protective of their family. The male cockatiels will not fly off and leave their spouse who is currently hatching the eggs and taking care of the newborns, especially if they live in the wilds. They are also nurturing their children well. Above are the facts of cockatiel as the most favorite pet bird that you need to know before deciding what pet to have. For you who love their beauty and melody as well as never have any pet before, then cockatiels must be your choice. Not only will they teach you how to be responsible but also accompany and entertain you for a long time.